Finance Minister Bill Morneau has delivered his fourth budget — a document that includes billions in new spending meant to tackle what he called Canadians' economic "anxieties": millennials struggling to buy homes, dislocated workers needing new skills to compete in the modern economy and seniors concerned about maintaining steady incomes in retirement. CBC News fact-checked key parts of his budget speech. Finance Minister Bill Morneau delivered his fourth budget today — a document offering billions in new spending meant to tackle what he described as sources of Canadians' economic "anxieties": millennials struggling to buy homes, dislocated workers needing new skills to compete in the modern economy and seniors concerned about maintaining steady incomes in retirement. Morneau said: "As we look ahead, Mr. Speaker, I think it's worth spending a moment remembering where we came from. When we came into government in the fall of 2015, unemployment was stubbornly high, wages were stagnant and consumer confidence in decline." Before the last election, there were two consecutive quarters of negative growth — which meets the technical definition of a recession. Since the last election campaign, the Liberal government has presided over a growing economy and unemployment rates are quite literally the lowest on record (since StatsCan adjusted how it documents employment in this country in the early 1970s). Morneau said: "It means delivering the real change that Canadians sent us here to do. And alongside all of this is the most important relationship our country will ever have — the one with Indigenous Peoples." The Liberals have made funding for Indigenous services a priority. 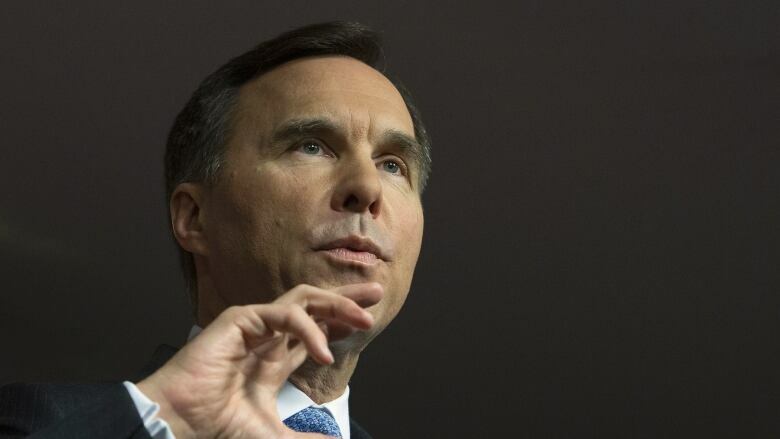 Morneau has allocated an additional $4.5 billion over five years to "continue efforts to close the gap between the living conditions of Indigenous peoples and the non-Indigenous population." 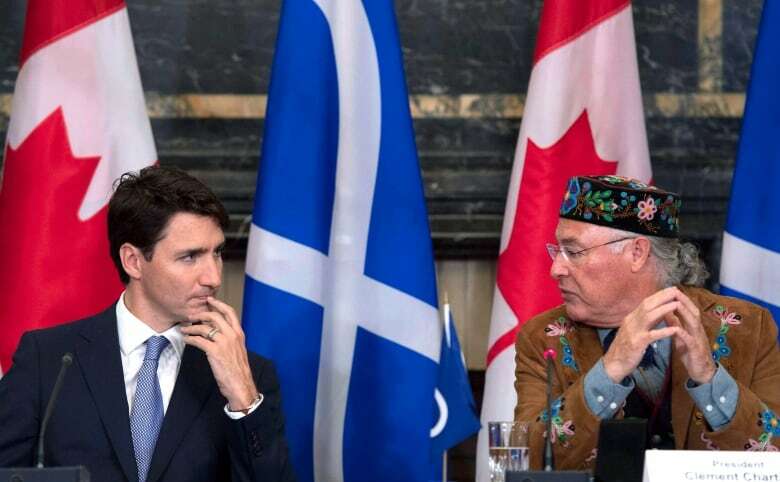 Total planned government spending on Indigenous programs will be more than $17 billion annually by 2021-22, an increase of 50 per cent over where it was when the Liberals were elected (federal spending on Indigenous programs in fiscal 2015-16 was roughly $11 billion). Morneau said: "In just two years, Mr. Speaker — between 2015 and 2017 — the CCB helped lift close to 280,000 children out of poverty. That's 280,000 kids that now have a better start in life and a brighter future ahead of them." In this government's first budget, Morneau followed through on the Liberal Party's major 2015 campaign promise: to end the former Harper government's Universal Child Care Benefit (UCCB) as it was then constituted and launch a new, more lucrative (but means-tested for low- and middle-income Canadians) program called the Canada Child Benefit for people with young children. The program led to bigger cheques for a large swath of Canadians. Higher-income earners were left with reduced payments, while the wealthy received none at all. The Canada Child Benefit allows any family with a child to receive up to $6,400 for every child under the age of six, and $5,400 for every child aged six through 17. Economists agree this program has contributed to reducing rates of child poverty, but so too has the relatively strong economic growth rate and low unemployment. "You've really got to parse out that [280,000 children out of poverty figure]. The [Liberals] can take some credit, sure, but a robust economy really does a lot of the heavy lifting on that," said Sahir Khan, a former assistant parliamentary budget officer. Significant increases in minimum wage rates in Ontario, Alberta and Quebec helped as well. Morneau said: "To help make our hometowns better places to live, we made significant and historic investments in infrastructure. More than 33,000 projects have been approved in the years since — the vast majority of them already underway and creating good, middle class jobs in communities right across the country." This counts as a work in progress — slow progress. Khan said that, to this point, infrastructure spending has been relatively haphazard and mostly driven by political expediency. He pointed out that the federal government has yet to create a national infrastructure program, or to clearly define a rationale for spending in a particular geographic area or on a particular project. "We don't see any linkages between the needs on the ground and the allocation of funding. What we're left to assume is that there's a lot of political decision-making. Absent a plan, it becomes relatively easy to be cynical," Khan said. He pointed to the Canada Infrastructure Bank's only commitment to date — partial funding of a leg of the Montreal light-rail transit expansion that is being led by the Caisse de depot et placement de Quebec — as a sign that the government could be picking winners and losers in areas of the country of particular importance to its electoral fortunes. Morneau said: "To make it easier for small businesses to succeed and create more jobs, we cut taxes for small businesses — twice." Rachel Curran, who was policy director for former prime minister Stephen Harper, said the small business tax cut — taking the rate from 11 per cent to nine per cent — was designed by the previous Conservative government. The Liberal government delayed that tax cut in its first budget, then implemented the cut in two instalments over the past two years. In Curran's view, the Liberals only moved ahead with the cut after they faced a backlash from small businesses, notably self-incorporated doctors and farmers, over changes to the regime that governs so-called "income sprinkling" and passive income. "Morneau brought it about after he called small businesses tax cheats," she said. "It was part of the crisis management exercise — they had to recommit to that tax cut. They were forced into a corner." Curran noted that the original changes to the small business tax regime actually were pared down "substantially" after the outcry. "Of course, they are going to take credit for it because they did it. That's politics," she said. Morneau said: "And to help protect the health of our planet, we put a price on pollution — and to make a cleaner economy more affordable for Canadians, we're giving back all the money we collect directly from the price on pollution. Every cent." 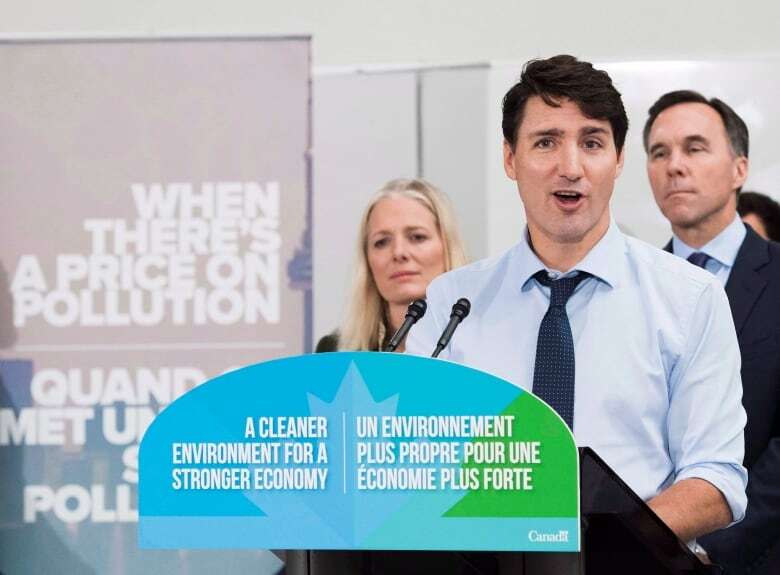 Ottawa has put a federal price on carbon — one that the provinces have to meet or exceed to be on side with the pan-Canadian climate strategy that was negotiated early in the prime minister's mandate with what was, at the time, a group of mostly left-leaning, eco-sensitive premiers. Since then, there has been significant turnover among provincial leaders. The more recently elected conservative-minded premiers feel that a carbon tax of this sort will cripple important sectors of the economy — notably Alberta's oilpatch — and lead to job losses. Ontario, New Brunswick and Saskatchewan all have carbon-reduction plans that were deemed insufficient by the federal government, so the federal carbon price — which, as of now, is $20 a tonne — is in effect in those jurisdictions. Khan said that, under the current carbon rebate plan, every cent of the money collected by the federal backstop measure will indeed be returned to individuals in the provinces where it was collected. Morneau said: "First, we will work with provinces, territories and stakeholders on the creation of a Canadian Drug Agency, which could use its bulk buying power to negotiate better prescription drug prices on behalf of Canadians. This would help individual Canadians — such as seniors — and their families afford the medicines they need. It would support the sustainability of the drug plans they rely on today, and pave the way for national pharmacare tomorrow." Mostly true, with a major caveat. To bolster its progressive bonafides, the federal Liberal government has been telegraphing since the last fall economic update that it would be moving forward with some plan to drive down the cost of drugs and support Canadians who do not have access to workplace insurance plans to help offset those costs. 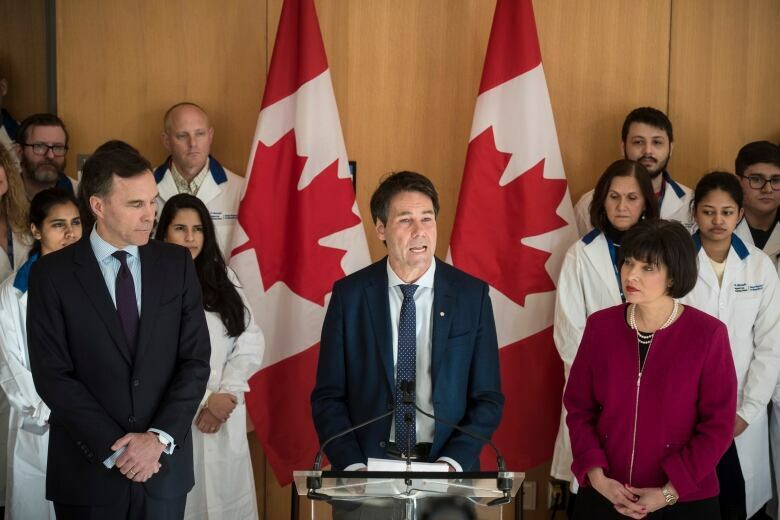 Ottawa appointed former Ontario Liberal health minister Eric Hoskins to lead a study on the best way forward — which could be either a national public plan or targeted support for low-income Canadians. The government now says it will wait for the final report before settling on a pharmacare program and rolling out any major spending. That report is expected in June. While the budget does create the Canadian Drug Agency, a government entity that will help coordinate bulk buying to drive down prices, the only major new budget item on this file — roughly $1 billion — is spending to make "high-cost drugs for rare diseases more accessible." That spending is backloaded to the 2022-23 and 2023-24 fiscal years. In a year with major new spending commitments, pharmacare has been pushed off to future years. The budget does not include funding for such a program in its fiscal framework. "They simply don't have the money to spend on a pharmacare plan," Khan said. "Let's be really clear. This may be a platform for a future pharmacare plan but right now they don't have the fiscal room for pharmacare. So let's not present it as pharmacare." Khan said that if the government were to spend the billions it needs to get such a program off the ground right away, the debt-to-GDP ratio would tick up substantially — something the federal Liberal government has pledged not to do after abandoning its plan to run "modest" deficits of just $10 billion. Janice MacKinnon, a former Saskatchewan NDP finance minister, said this is a sign that an adequately constituted pharmacare program, negotiated with the provinces, is still three to four years off. She said that, based on her current work as a consultant with the Manitoba government, provincial negotiations have been rocky so far and she worries a federal plan may simply be imposed on the provinces. She estimates that, depending on the model Ottawa ultimately settles on, a pharmacare plan would cost between $12 billion to $19 billion a year — spending that is not documented in the budget. Responding to that criticism, Morneau has said there are those on the political left who want a pharmacare program right away. "But this is really hard work," he said. "We're going to get at the challenge of having national pharmacare, but we're going to get at it in the right way, and so Canadians should stay tuned." Morneau said: "We also helped to put thousands of dollars back in the pockets of Canadians as they become seniors, by restoring the eligibility age for Old Age Security and the Guaranteed Income Supplement back to 65." This is true, but there's another important caveat. 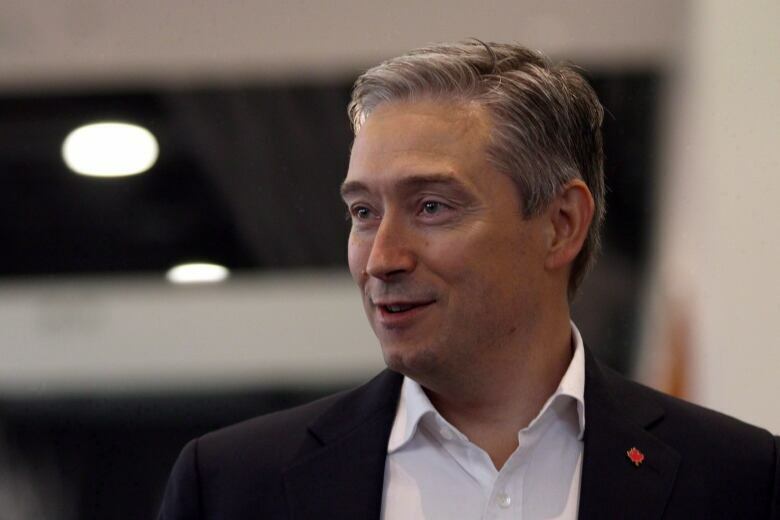 While the Harper government raised the age of eligibility for Old Age Security from 65 to 67 for future years, the planned changes were not set to be fully phased in until the 2030s. 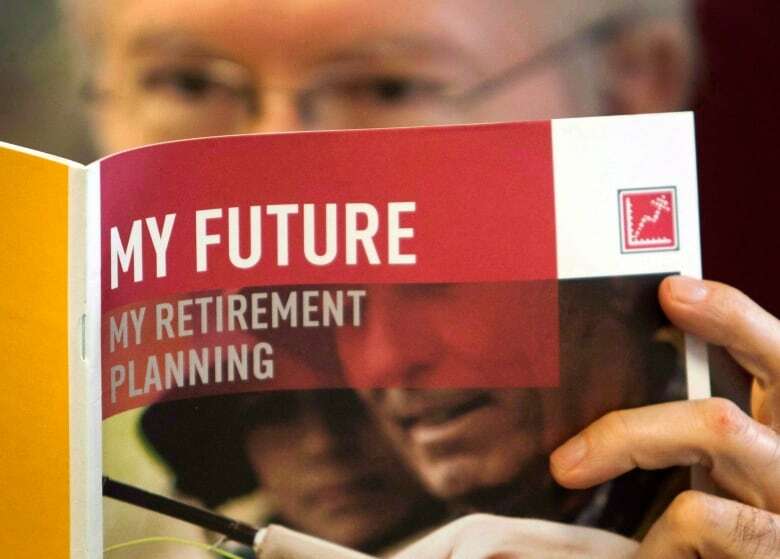 The Liberal government did away with a plan to raise the eligible retirement age in the first year of their mandate — a change that dramatically affected long-term financial planning but did nothing to affect the lives of Canada's current cohort of seniors. "It wasn't going to have an impact on current seniors, or even people who had planned to retire in the next 10 years," Curran said. "Every other developed country has done this because everyone is facing the same demographic challenges: rapidly aging populations and a shrinking tax base to support benefits and programs that aren't sustainable," she said, noting that Canada is somewhat more isolated from these effects because of its large immigration intake. The Liberals, meanwhile, said working Canadians should not have to wait longer to collect funds that have long been promised to retirees. In terms of new spending for seniors, Morneau announced some tweaks to two federal pension regimes that could put more money in the pockets of the elderly. "To help low-income working seniors, we're enhancing the Guaranteed Income Supplement (GIS) earnings exemption—so that seniors who wish to work can keep more of their pay and benefits," he said. The GIS provides a monthly non-taxable payment to Old Age Security pension recipients who have a low income. By extending the earnings exemption, eligible seniors can earn more income from employment without seeing their GIS payments clawed back. Morneau also said the federal government will start sending Canada Pension Plan cheques to those who are entitled to the money but who have not yet formally filed their form with the federal government to start payments. "We will proactively enroll Canada Pension Plan contributors who are 70 or older but have not yet applied to receive their retirement benefits. "With this one change, as many as 40,000 seniors will begin to receive an average of an extra $300 per month starting next year," he said. Morneau said: "To give our communities the help they need, and to ensure that money earmarked for communities is invested as intended, we will be giving a one-time boost to municipalities through a municipal infrastructure top-up—doubling this year's federal commitment through the Gas Tax Fund." There's more to this story. Khan said this significant increase in infrastructure spending is re-purposed spending that lapsed in the last fiscal year. In other words, this is money that the Liberal government couldn't get out the door — in large part because of a fractious relationship with the Ontario provincial government. The two levels have sparred over which infrastructure projects should be jointly funded. 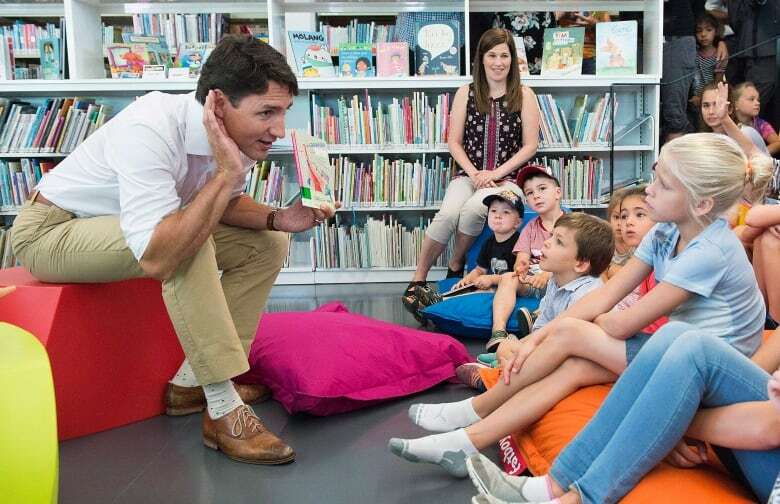 He said that while previous governments, like the former Liberal government of Jean Chrétien and the former Harper government, used that excess cash to chip away at the deficit, the current Liberal regime prefers to spend it. "They use this a source of funds to go spend on new stuff," Khan said of the 2019 budget. "They looked at every loose nickel and found a way to spend it." McKinnon said this is a testament to the current government's propensity to deal directly with cities rather than provincial governments, which have proven less amenable to its agenda in recent years. Curran said this one-time doubling of the Gas Tax Fund is actually booked into fiscal year 2018-19 — but will be spent in the next fiscal year. She said that's meant to give the impression that the government is getting the money out the door quickly in an election year — and also to ensure that there isn't an obvious uptick in the debt-to-GDP ratio. Rather than focus on deficit levels, the Liberal government has said that the best measure of the government's fiscal health is a drop in that ratio. Morneau said: "To ensure that Canada's dairy, poultry and egg farmers can continue to provide Canadians with high-quality products in a world of freer trade, we will make available an income protection program for supply-managed farmers, along with a measure to protect the value of quota investments these farmers have already made." Morneau said Tuesday he would implement a program to shield Canada's supply-managed farmers from some of the shocks they're expected to face after three major trade deals come into effect, including the new NAFTA. This approach mirrors the one taken by the former Harper government when it implemented a similar backstop to protect farmers from the impact of the Trans-Pacific Partnership deal — a renegotiated version of which was signed by Prime Minister Justin Trudeau. But while the scope of this program is similar to the one first proposed by the Harper government, the threat — in theory — is now greater because Canadian farmers are expected to face many more foreign exports when the U.S. and Mexico actually adopt the new NAFTA, along with an increase in exports from European farmers.